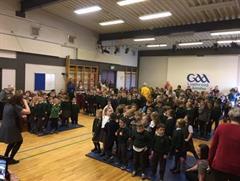 Bíonn obair mhór ag tarlú sa scoil ar son na carthannachta gach bliain i mBunscoil Phobal Feirste & Naíscoil Bhreandáin. 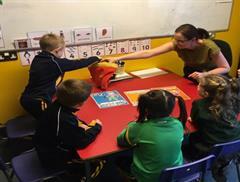 Our pupils fundraise each year for numerous charities such as Trócaire and St. Vincent de Paul. Our Lenten campaign this year was in aid of Trócaire & Palestinian Children. 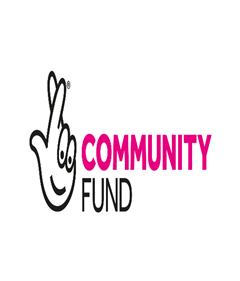 This year the school also raised funds for The Childrens Hospice, The Morning Star Hostel, Project Zambia, Kidney Research and An Dream Dearg Irish Language Rights Group. Míle buíochas Anne! Rith Anne Maratón Bhéal Feirste ar na mallaibh agus thóg sí cuid mhór airgid ar son na scoile agus na carthanachta. Since it has been 10 years from our teacher Séan underwent his kidney transplant, the school decided this year to have Kidney Research as our chosen charity. Our P3 parent Anne Duffy, a keen Marathon runner, generously offered to run the Belfast Marathon on behalf of the school and raised a whopping £677 for our campaign. Thanks to Anne and to the Bunscoil Phobal Feirste families who donated generously. Míle buíochas! 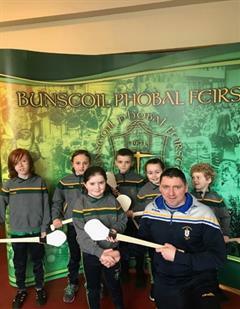 Le linn an Charghais, d’obair foireann, páistí agus teaghlaigh Bhunscoil Phobal Feirste go hiontach ar son na ndaoine bochta agus thóg muid an-chuid airgid chun tacú le páistí bochta Meiriceá Theas. Sacrifices were made and funds were raised during lent by the pupils and families of Bunscoil Phobal Feirste for the poor children of South America. 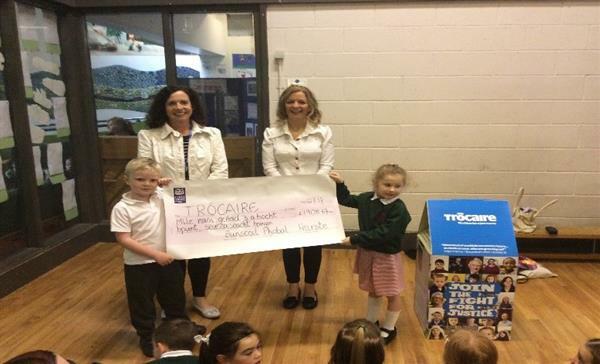 Members of Trócaire held a special assembly at the School and collected their cheque for £1,908.67p. Congratulations to our pupils, staff and parents for this great effort to help the less fortunate. Maith sibh.